I recently wrote an eBook that Joint Venture Giveaways. Here are 5 additional List Building Giveaway Tips. I concluded that it was well worth the few dollars it takes to become a contributor in most of these ventures. The eBook shows how to register, how to enter the information on your free gift, how to use the Text Ads and how to use the Special Offers. It talked about the several ways you can make money by participating in a JV Giveaway. The one last thing that was covered was how contributors can browse the offers of other contributors and download the material WITHOUT opting in to multiple mailing lists. 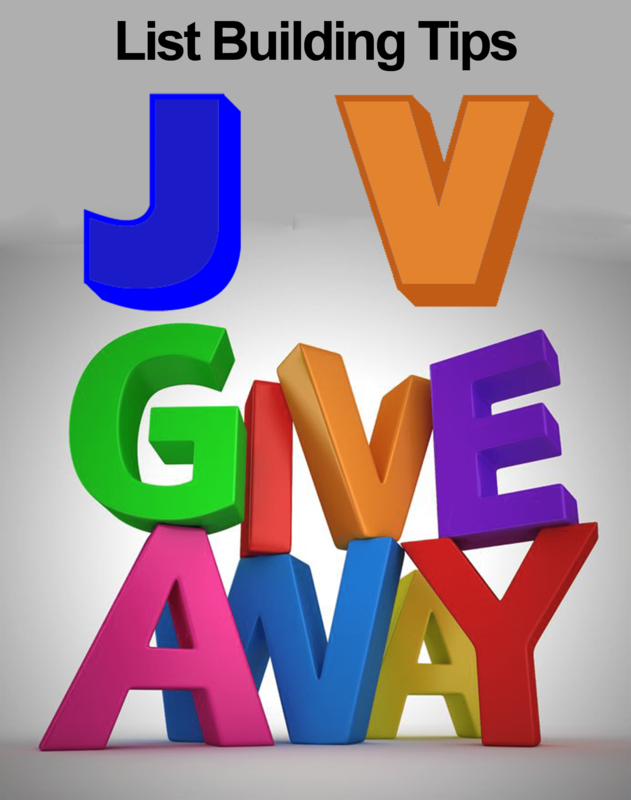 What I am going to cover today is a few tips that will enhance you effectiveness when you take part in a JV Giveaway. Tip #1: In order to enter a JV Giveaway site you must “register.” This means that you give the organizer your email address and name. You also pick a password. After you register you will be shown a “Special Offer.” This is an ad prepared by one of the other contributors. If you are interested in the deal you can buy the product. The organizer makes some money from your purchases, but you don’t gain any advantage other than you may have gotten a good product at a good price. 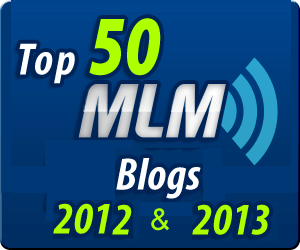 List Building Giveaway Tip #2: Enter at the highest level you can afford. Tip #2: If the JV Giveaway has not started yet you will be offered a chance to become a contributor. I strongly recommend that you do this. Most of the Giveaways will allow you to upgrade later, but the price will go up. You often will be offered a chance to join at several price points. The benefits of joining at the highest level you can are well worth the small price. Conversions will be low. Not too many people will respond to this type of offer. Even those who do will usually not be a hot prospect to add to your list. They are certainly not laser targeted. The point is that you will have no idea what type of further offer they will respond to when you try to market to them on your list. As I’ve read several times recently, having a list of 1,000,000 email addresses of people who don’t own pets is pretty worthless if you are selling pet products. An image – make it a compelling one. You might use an image of yourself if your audience knows you. A longer description – usually 300 characters. Make this an ad. Give people benefits, not features. A link to your squeeze page. A link to download your products without an opt-in (this is used by other contributors who ask for your product). An estimated value of the product. The Squeeze Page – this should ask for an email address and have a Submit button. If there is anything you can sell related to your free offer, your visitor should be sent to a page offering that item once they press the Submit button. Don’t miss this chance to make a few dollars. 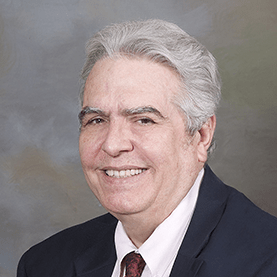 You can use an iFrame (see this article) to include an affiliate offer inside your own page if you don’t have a product of your own you can sell. The Direct Download Link – I see people missing a golden opportunity here all the time. Do NOT just give them the link to download the product (like a link to a PDF). Send them to a page which has a “Click Here to Download” link on it, but it also has “If you liked this, you might also like one of these…” You include links here to other products. These links go to Squeeze Pages. Creating a page with a download link and other offers gives you a chance to collect the email addresses of other contributors. The rules say that you must give them the main item without an opt-in. They don’t say that you can’t offer them something else with an opt-in. Heck most JV Giveaways allow you to Submit between 2 and 6 gifts. You can put links to the squeeze page of your other gifts. The contributor who gets to the page could go search through the giveaway and find where you offered a second gift and get it without an opt-in, but often they will just click to get it now. Tip #5: Use the Text Ads – they are super simple. You enter a title, a short description, a Call-to-Action line that visitors see and a link to where they go if they click on your Call-to-Action. Do not just put your link as the Call-To-Action. Put something like “>>>Click Here Now<<<”. The rules about Text Ads seems to be much more flexible than the Free Gift rules. For example the free gifts are usually not supposed to be affiliate links. The Text Ads do not have that restriction. I have also see smart marketers asking for an email address in return for forwarding someone to a resource that they may have know about. For example I’ve seen marketers post an ad that says that many Solo Ad Providers will scam you. Their text says they have a resource that will make they much less likely to happen. They send you to a page where they get your email address and then they forward you to a WSO offer (made by someone else) who is selling a Black Book of Solo Ad Vendor ratings. You can also use the Text Ads to drive people straight to your Free Give Offer Page. There you have five (actually more than that) tips that will make you a more effective contributor when you become a contributor to your next JV Giveaway. 5 List Building Giveaway Tips for you!